Most people who have occasion to use a hole punch just discard the little paper dots that fall out of the tool, but artist Nikki Douthwaite saw something more in the colorful little circles. 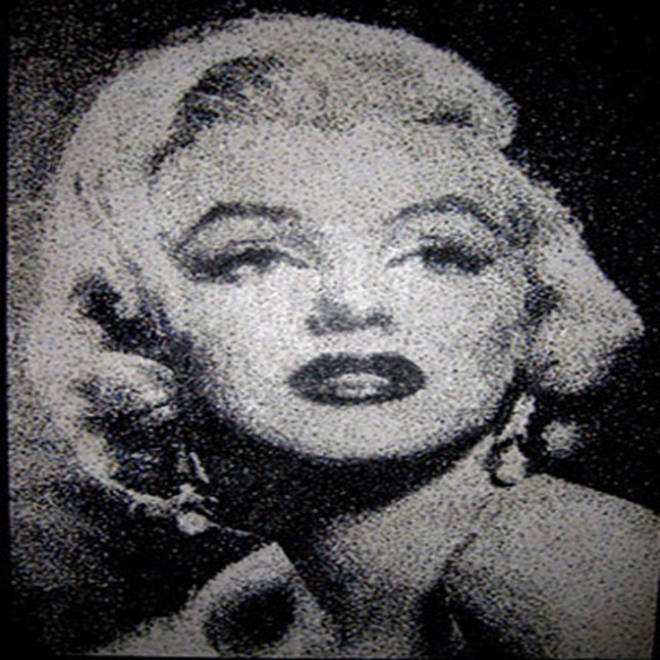 Nikki Douthwaite made this image of Marilyn Monroe with 99,000 hole-punch dots in 2010. She used colored dots in such a way as to make the resulting image look black-and-white. Says the artist, "It was the first piece that I have made where I didn't think I could do any better." “The idea to use hole-punch dots came from studying pointalist artist (Georges) Seurat for my degree,” Douthwaite tells NBCNews.com. “I don't really have a trick, just hard work and an obsession. Tweezering one dot on at a time and making sure the color mix is right before I start. I will often stick my hand in a bucket of 30,000 hole-punch dots and say, ‘That needs more light purple.’"
Douthwaite used 150,000 dots to make this image of Jimi Hendrix. Each picture is inspired by a magazine photograph and takes anywhere from six to 15 weeks to create. 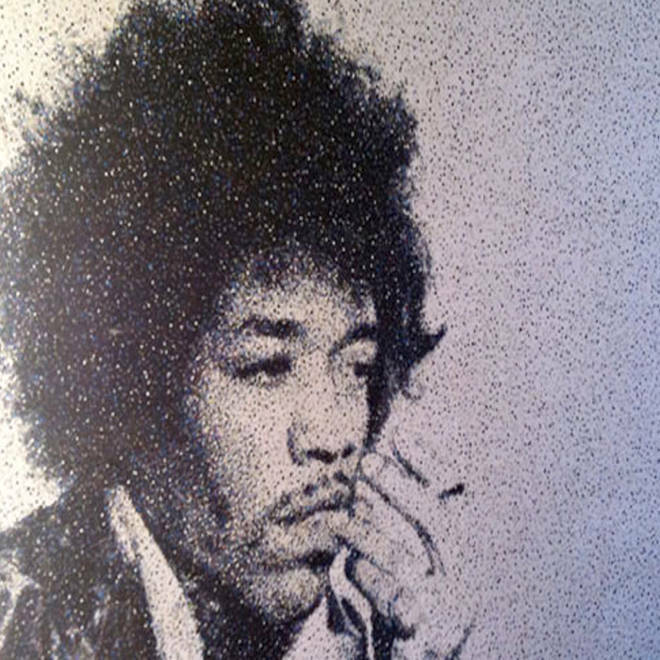 For Monroe’s image, she used approximately 100,000 dots, and for Hendrix, 140,000. Douthwaite made this image of John Lennon as a birthday gift for a friend in Los Angeles. It was only the third dot portrait she had made, and she had to learn how to do hair and glasses. 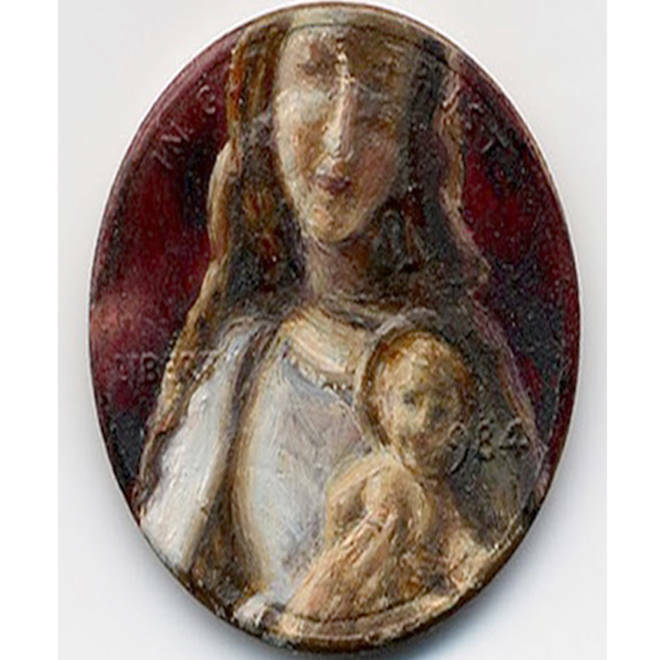 Many pieces of her work have been sold; some, like the portrait of Monroe, were commissioned. 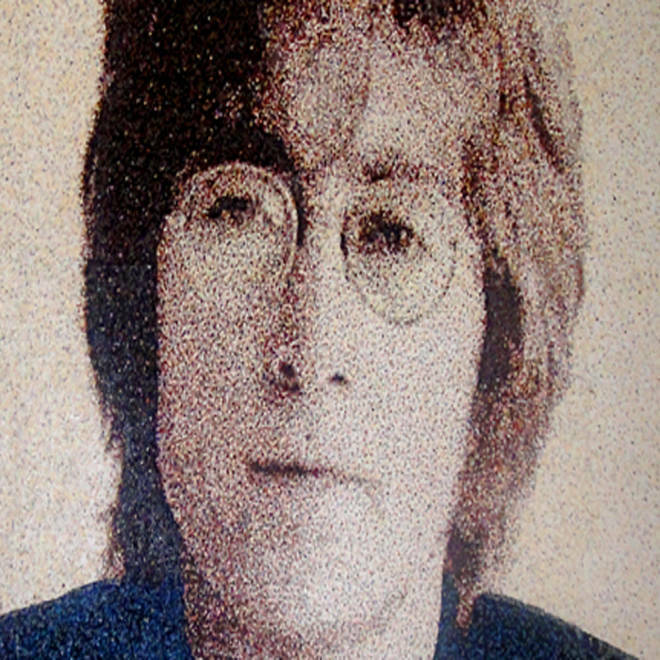 Hendrix’s portrait went to a private collector, and Lennon’s image has been shown in galleries worldwide, including at The Beatles museum in Liverpool. In the U.S., a portrait by Douthwaite is owned by Ripley’s Believe It or Not in San Francisco. 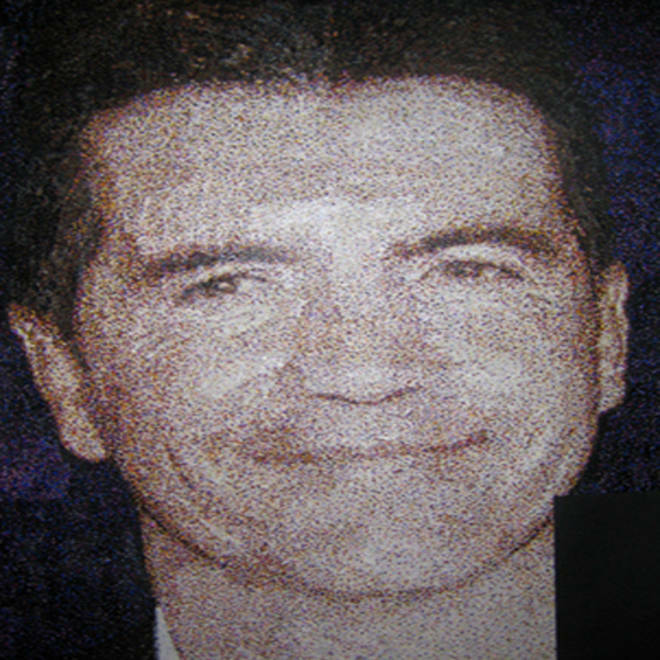 It took 189,000 dots to create this portrait of TV judge and personality Simon Cowell. Douthwaite says she loves how "you never know what is going to come out of his mouth." Of course, all artists have critics, and in a medium as unique as Douthwaite’s, the commentary can be equally bizarre. What do you think of Nikki Douthwaite's art? Tell us on Facebook.